Nicely furnished, shabby chic, one bedroom oceanfront condo on the second floor. Private balcony with ocean views. Fully equipped kitchen with dishwasher. Flat-screen TV in living room. Access to beach/fishing pier/community pool/complex laundry facility. Sea Cabin Community Wireless Internet available at no charge. 490 square feet. Linens included. No smoking. No pets. If you’re looking for a place to crash only, this place is fine. Any expectations beyond that and you should look for a different spot. Thank you for taking the time to send us a review. Guest feedback is very important to Island Realty it is how we can improve our service. We will share your review with the property owner. Thank you again. Need toiletries or let guests know to bring. Need dish cloth and rag in kitchen. Fix annoying fan in bathroom. Other than that all else good. Very clean property. This is an older establishment but everything was very well maintained, and the condo was neat and had everything we needed. A Sea Cabin is always the right size for my group, perfect proximity to the pool, beach, stores and food! We will always be back! I will say though that this particular unit either has a smell that is trying to be masked or an owner who just likes the artificial smell of room deodorizer but 1 ‘Plug-It-In’ and 3 open containers of fragrance beads (all of different scents) were too much for my nose. I had to unplug the one and put the others in a drawer, the smell was still potent upon our check-out day. Enjoyed this trip with my grandson. The place was clean and a great location. I really like how well it’s taken care of. We love Sea Cabins and Isle of Palms! Nice location, easy drive to Charleston, good beach access. 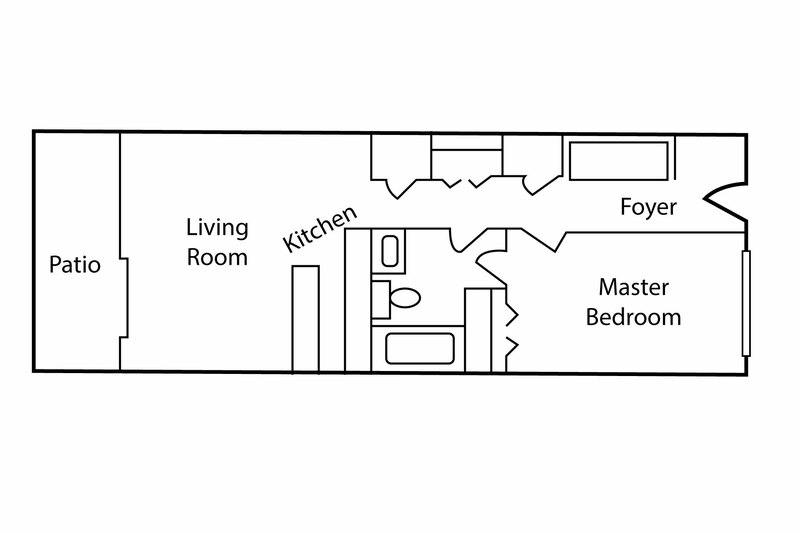 Only recommendation would be to add a television in the bedroom, but overall, the condo was comfortable and suited our needs (just my husband and I). The location was awesome. Somebody put dirty dishes in the cabinet and oven thermostat was way off but I will still book here again anyway. I love the sea cabins. Always nice. Wish the bedroom had a tv in it. That's how I like to fall asleep. I have stayed at Sea Cabins several times and love the location. Love sitting on beach reading and walking the beach. Looked just like pictures. The room was nicer than the one next door that I stayed in (239 C) but the stove is in great need of replacement. The oven was questionable and the stove eyes sat crooked and made it difficult to do any cooking at all. Great location. The unit is dated and that was OK, it was the overwhelming smell, uneven floors, 4 towels, range we were afraid to use, odorous bed spreads, missing sheets and pillows for the pullout couch, and the fact that we had to pull all the linens from each bed - empty the garbage - and run the dishwasher or get charged $25 that made this stay not so pleasant. It might be a good fit for some, but I was not a good fit for us. Thank you for taking the time to send us a review. Island Realty appreciates you taking the time to let us know your experience. Please note that we have a full staff available to help with issues you may have during your stay. Never hesitate to call us during your stay for any issue you may encounter. Also we do want you to understand that we do have certain checkout procedures that are required. Thank you for your cooperation in these procedures. It is important to have these few things completed at check out, it may not seem like it but it does help make your check in process easier! Thank you again for taking the time to send us your feedback, guest opinion is very important to us. This location was perfect for the beach and restaurants nearby. The condo was very clean and amenities were above expectation. cozy little place to stay with private beach and pier. Easy access to Charleston. property was excellent in location and condition, and island rental was easy to work with. The location of the rental was excellent. We could walk right out to the beach and pool. The proximity was great with small children because we could take breaks back at the room without packing and unpacking the car. We also enjoyed the pool. We were in walking distance to lots of restaurants and the Harris teeter. The condo was the perfect size for our family of 3. Our daughter loved the bunk bed. We also really liked sitting out on the balcony with the view of the ocean. Wonderful place. We always enjoy our stay at the Sea Cabins. This was the 6th year we have stayed at the Sea Cabins, but our first year in room 238C. Best experience so far. Room was very clean. Beautiful view. Nice digs. Easy beach access. Sea Cabin 238C was cozy and appropriate for two adults. The sleeper sofa was unexpectedly comfortable. The rooms were clean, and we left them very tidy for the next guests. (The return air vent needs cleaning though!) Enjoyed the soft, plush towels. The big brown chair was fun. Sturdy practical deck furniture suited our needs. My Norwegian friend & I recommend 238C for a delightful vacay. Excellent room, great location to downtown, over all had a great time with Sea Cabins experience!!!!!! Perfect condo for a family! This place was adorable and absolutely perfect for our family. It reminded us of a cruise ship suite, everything had a purpose and a place! There were little berth/bunks that we didn't even expect that our daughter loved sleeping in. Super convenient location - walk to shops and super restaurants, plus Ben and Jerry's is across the street at the corner!! Exactly what we needed! Our own little nook steps away from the beach. We will be back! 1) good location and clean, 2) No hair dryer 3) only soft soap in bath and dish soap in kitchen, No shampoo 4) I was a little surprised that I had to remove the linens off the bed and remove the garbage. I have a rental property in NH and MX and my guests do not have to do that work. 5) After hours combo in the agency was difficult to see as the numbers were microscopically small. I had to take a picture with my phone to determine the characteristics of the knob and the numbers. Thank you for taking the time to send us a review. Island Realty is so glad that you had such a grest visit! Thank you for your suggestion to add a bar stool so that all 4 people would be able to sit at the bar. Guest feedback is very important, without it we cannot improve. WE hope the next time you come to the Isle of Palms we will see you again at the Sea Cabins! Upon checkin the frig had not been cleaned. They do not wash bath or kitchen rugs or bedspreads or blankets. They need it. The musty smell was overwhelming. We went to store and bought a blanket and glade and candles and made the best of it. The baseboards are very dirty. There are several areas that need painting. After you shower you are standing in water because it does not drain well. The bathroom sink also does not drain well. The electric rings on the stove top sit at an angle which makes evenly cooking some foods difficult. There is no washer or dryer in the unit itself and there is no daily housekeeping. Externally, The pool water is cloudy so we did not put our heads below water. Beach has some trash and water is murky. Glad we were only here for 3 nights. Thank you for taking the time to send us a review. Island Realty regrets that you had such an unfortunate stay. We want to let you know that we do have a full staff that can help you with issues like the ones that you had while you are here. We would also like to let you know that there are washers and dryers at the Sea Cabin community building next to the pool. Island Realty would like to thank you again for your feedback, each unit is individually owned and this information does go to the owner. Your input is very important! It is how we improve our service. Island Realty would like to invite you back again for a more enjoyable stay. The accommodations were very nice. We felt fortunate to have been able to secure a last minute 2 night stay at Isle of Palms. Thank you for taking the time to send us a review. We hope that the next time you pop over to the Isle of Palms you will join us again at the Sea Cabins! Great little condo, very clean and so much better than a cramped hotel room! Oceanfront, walking distance to everything. We loved the condo, you opened the door to a lovely smell, very clean, loved! ONLY 2 things. The patio door did not lock only the screen locked. Then one morning there was a knock on the. Door we froze because of a past experience in another sea cabin condo. But this time the door opened an we froze. A guy stepped in an changed the air filter. REALLY???!!! Thank god I was dressed! Could this not of been done before we arrived? NOT COOL!!! We are so delighted that you enjoyed your condo! Island Realty apologizes for the inconvenience of the filter change in your unit. This is something that we do once a month and it is our policy to knock before entering. We do wish to remind you there are deadbolts on the doors to prevent any maintenance person entering your unit while you are in the condo. It is unfortunate you were there during the monthly filter change. Island Realty would like to invite you back for a more enjoyable visit next time. Because of illness we had to cancel our rental plans. However, you were able to schedul another rental for the time we missed. Thanks for renting the unit and refunding our rental fee. You have always been great taking care of our needs, this is not the first time we had to reschedule a visit. You always made it happen. We look forward to working with you to plan our next visit. Thanks, Kathy & Curt PS: you forced me to answer all the questions below. You should include NP as one of the options. We are delighted that we could help you with your schedule! Thank you for being loyal guests of Island Realty! I was looking for a small get-away villa and I found it! This was a perfect place and I will return when able. It was my birthday and this villa is much more than it appears in the photos. Like I said it was perfect. Despite the fact that there were workers painting the building (we'd been warned! ), we were able to come in and out of our condo easily. Found all the kitchen utensils we needed for our limited cooking. The sliding door to the balcony did not open smoothly; also the toilet seemed very sluggish when it came to flushing; the kitchen disposal does not really work. Aside from these things, which we considered very minor, we had a great time! Thank you for taking the time to send us a review. We value your feedback! We are so glad the painting did not hinder your stay. We look forward to your next visit with Island Realty, next time we won't be painting! Thank you for taking the time to send us a review. We are glad that Island Realty could provide you with such good service even in the middle of the Thousand Year rain. I will send this information directly on to the HOA of the Sea Cabins. The Sea Cabins are being painted as I write this and thanks to reviews like yours we are well on our way to sprucing up the property for your future visits!! After the flooding subsided the HOA did a beautiful job landscaping all the areas that had been over taken by water. We look forward to you coming back next year to see all the new changes the Sea Cabins are making!! The cabin was fine except for a few things that were a little annoying . The tub didn't drain well and water filled up when showering , the bedroom window was fixed shut and there was no air flow through the house and it was mild enough to turn off the air and open the sliding door but with that window shut it was stuffy when sleeping . The third thing that was the most inconvenient was the bathroom outlet . There was only one and you could only use one of the plugs as the other one was blocked off . The bedroom outlets were not accessible for the furniture or they were in odd places with no table close by..the bed turned the way it was is probably why . The cabin was clean and furnished nice enough but would stay again only if this things were addressed. We are so pleased you enjoyed your stay!! Please feel free to come back and see us again next year!! Our stay at Sea Cabins was wonderful! We had everything we needed within walking distance....Even the grocery store. We will definitely be back:) The unit was well kept & clean. We ate breakfast & lunch in and walked to our dinner destination. Our trip was affordable & relaxing, Who could ask for more? Love Isle of Palms, SC!!!!!!!! Overall it was a very pleasant stay. The villa was clean, but the stove burners did not fit well, making it hard to cook. Was a bit taken aback that only 4 towels were issued for the week. That did not work well with two teenagers and two grown women. Extra or clean towels had additional cost associated with them. Would have brought my own if I'd know that. Our trip was relaxing, peaceful, and effortless. It was wonderful to wake up every morning and have a view of the ocean. we loves that Sea Cabins had a pool, it was clean and nicely kept. Lovely area, convenient, and relatively quiet considering the close proximity to town. Helps to get recommendations from staff regarding the age of units. This particular unit was very old, and it showed. They did help me find a unit previously for my married children that was very nice. good experience. We would come back again. Unit needed some upgrades but overall very good. Mattress on sofa bed needs replacing,and the owner's floor fan probably needs replacing, makes lots of noise. Other than that, everything was fine. Next time, I will reserve a place on the 3rd floor to avoid hearing young children run back and forth for hours above my head. Love the views and beach and pier! We had a great stay. The weather was ideal and the location is great. I enjoyed my morning walks on the beach and the ability to go out on the peir. This was our second year in the Sea Cabins and if we are back in the area again I would certainly stay at this location.